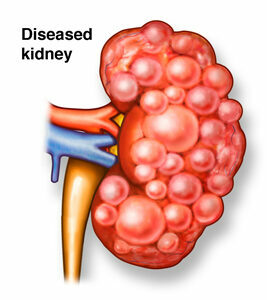 Most kidney diseases attack the nephrons. This damage may leave kidneys unable to remove wastes. Causes can include genetic problems, injuries, or medicines. You have a higher risk of kidney disease if you have diabetes, high blood pressure, or a close family member with kidney disease. Chronic kidney disease damages the nephrons slowly over several years. 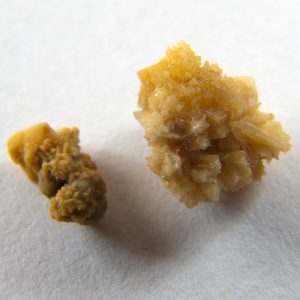 Kidney stones are hard deposits of minerals and acid salts that stick together in concentrated urine. They can be painful when passing through the urinary tract, but usually don’t cause permanent damage.The most common symptom is severe pain, usually in the side of the abdomen, that’s often associated with nausea.